Sometimes it’s hard to say whether innovation comes from somewhere else or if it’s local. Nandu Madhava was born in Boston, US, and raised in Texas, where he studied finance. He recently launched mDhil, a start-up that provides medical information via SMS, in his parent’s hometown of Bangalore, India. 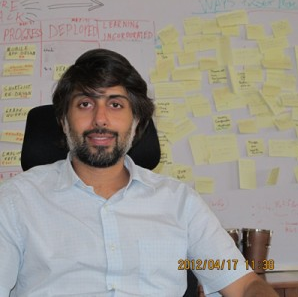 Vir Kashyap is the Chief Operating Officer of Babajob a virtual marketplace for day-laborers. 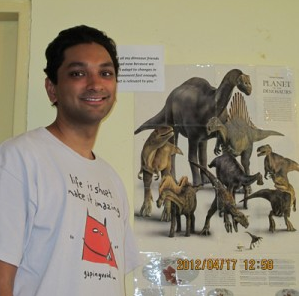 Born in Dubai, Kashyap, like Madhava, studied finance. Both are part of a significant trend: children of immigrants moving back to where their parents were raised. Madhava decided to create mDhil after serving with the Peace Corps in the Dominican Republic, where the lack of medical information creates major problems for the population. “I wanted to use technology to make an impact on people’s lives,” he says. mDhil sends SMS messages to its 200,000 users, who pay 1 rupee (1.5 Euro cents) per day to receive a daily message on a health theme of their choice, for example, diabetes, sexually transmitted diseases or women’s health. Its YouTube channel recently passed one million views. The service’s strategy relies on two trends: the localization of information and the passage to mobile. “The world of American medical information sites begins in Great Britain and ends in California,” Madhava says. Most of the advice available on the web is no help in India, whether its diet recommendations or telling people to call 911 in the US. “We produce all of our content,” not adapting the information available on other sites, he says. Priority is given to mobile communication for the simple reason that India has 100 million Internet users and 900 mil lion SIM cards. One out of 10 videos in the US is viewed on a phone, whereas in India that ratio is four out of 10. Vir Kashyap’s company, Babajob seems to go even farther in prioritizing mobile, using it to open the job market to employees who only make a few dollars per day, employees who don’t have a resume. The innovation is in an algorithm processing complex information about place of residence, job offers, pay, skills, and languages spoken (more than 20 languages are officially recognized). The economic crisis that hit northern countries is one reason, but so is the dynamism of Bangalore and Mumbai. “When I go back home [to the United States], it feels empty,” Kashyap told the Deccan Herald, a local publication. “Once you get used to India, the weather, the people and the constant noise, nothing else seems so exciting,” he said.